The economy is shifting beneath the feet of workers, pushing a growing share of them into the role of independent contractor or consultant, temporary worker, freelancer and entrepreneur. Video (13:25) : The economy is shifting beneath the feet of workers, pushing a growing share of them into the role of independent contractor or consultant, temporary worker, freelancer and entrepreneur. Fifty-something and unemployed, Mike McCarron decided that the best ­­way forward was to work for himself. A year ago he launched a business, Gamle Ode, that makes a clear Scandinavian liquor called aquavit. It’s a big change from his last job, managing Web design projects for a print company. McCarron spent about a year perfecting the recipe. He has sold more than 2,000 bottles in Minnesota and Wisconsin, and he soon will sell bottles in Illinois. Even now, he still seems a little surprised by his new career path. Maybe he’s crazy, but like so many Americans, he had little choice but to go it alone. The economy is shifting beneath the feet of workers, pushing a growing share of them into the role of independent contractor or consultant, temporary worker, freelancer and entrepreneur. More than 40 percent of American workers classified themselves as a “free agent” by the start of 2012, according to Kelly Services research, a huge jump from 2008, when 26 percent of workers gave themselves that label. The shift is clear in industries like software development and construction, but it extends to most types of service jobs. The economy shed 8.6 million jobs in the recession, and the available data show that a large part of the gap since has been filled by free agents. The number of one-person firms in the country doing at least $1,000 in annual sales has been growing way faster than employment for at least a decade, according to the Census Bureau. When the recession hit, these small businesses recovered dramatically faster than the number of American jobs, rising by 1.7 million from 2006 to 2011. In contrast, overall employment still is struggling to return to its prerecession level, as 3.9 million more people work part-time jobs than in 2006, according to the Bureau of Labor Statistics. Temporary and contract hiring has surged across the country and in Minnesota, where the number of jobs at staffing agencies has grown 14 times faster than employment overall. 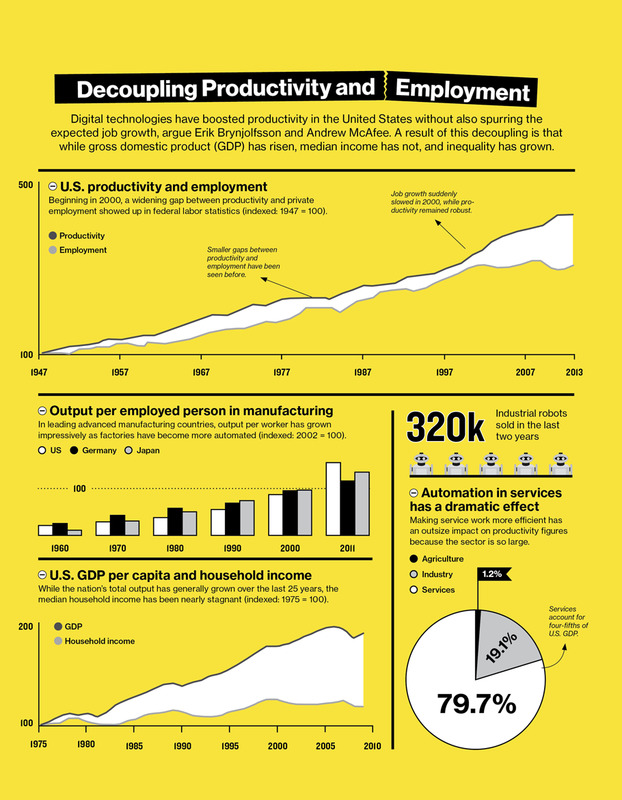 Robots, computers and globalization still are erasing traditional full-time jobs as the economy recovers, reorganizes and demands more of workers. Some workers celebrate the free-agent culture that pushes them to cut their own path to success. Others think it is intimidating and will leave more people behind. Ethan Cherin, an economics and political science teacher at St. Paul Central High School, stays in touch with former students as they move into the workforce. Eighty percent of large companies plan to substantially increase their use of contract and temporary workers, according to Intuit, a software firm that publishes reports on the small business economy. The firm’s analysis describes what some would view as a grim future for the individual worker. People will shoulder more responsibility for their retirement, career planning and health care. Personal finance will become more complex. Full-time, full-benefit jobs will be harder to find, and worker classification and work style will emerge as subjects of intense political debate. Walker sets up events at the Minneapolis Convention Center and thinks the ideal of a lifelong career has been crumbling since the 1990s. “It’s searching for a needle in a haystack,” he said. Colleen Harriss, 27, lives in north Minneapolis and waits tables at Lucia’s Restaurant in Uptown. After graduating from college with a degree in art history, she tried to build a career in the art world but gave up after a couple of years of part-time work at a nonprofit gallery. She’s happy to work at Lucia’s — the money is adequate and she has three days a week to do as she pleases. Mike McCarron lost his job in IT and then started a business producing Gamle Ode Aquavit, a traditional Scandinavian spirit flavored with herbs. But a lot of her friends stringing together part-time work are unhappy. They want full-time jobs, they look for them, and they can’t find them. McCarron, 57, who launched Gamle Ode in 2012, said sales are growing, but that’s expected in the second year of business, and sales haven’t grown fast enough to earn him a living. He’s still raiding his 401(k) to cover operating expenses. This year, he will produce 12,000 bottles of aromatic aquavits infused with herbs like dill, caraway, juniper, coriander and lemon and orange peels. Private-sector employment is approaching its prerecession peak of 2.36 million jobs in Minnesota — it’s about 4,500 positions short. But those looking for a surge in good full-time jobs will have to wait. Companies, still stinging from the recession and the layoffs it forced, are reluctant to hire aggressively, said Mary Marso, president of Jeane Thorne Inc., a Minneapolis staffing firm. “It’s not turning around as fast as we thought,” she said. Temporary and contract hiring has surged across the country and in Minnesota, where the number of jobs at staffing agencies has grown 14 times faster than employment overall. Kristin Osborne was thrown into the do-it-yourself economy, not by choice, and she has thrived. She was 23, working in public relations, when she accepted an offer with a new firm. The move angered her boss, and then the new job fell through, thanks to the old boss’s interference, Osborne said. So she started a one-woman concern called Kensington Public Relations, focused on helping law firms. She consulted for one client, then two, then three. Eight years later, she works from home in Rochester for several Twin Cities firms. A few years after she launched her business, her husband quit his job with his family’s business to turn a few acres of her father’s farmland into a vineyard, a big investment that needed to pay off. Osborne and her husband varied their work schedules and shared child care duties while they worked to make the winery profitable, and she built her public relations business. So far, it’s working out. The vineyard is now a million-dollar enterprise, its wines have won some awards and the couple expect to produce 10,000 cases this year.